At Chesapeake Ear Nose & Throat in Baltimore, MD, we are passionate about helping you restore, improve, and maintain your ability to hear. In many cases, a hearing test is the first step in determining if you are suffering from hearing loss and determining the extent of your condition. During your exam, our doctors will conduct a series of non-invasive tests that evaluate different aspects of your hearing abilities. We will also discuss your medical history. This can help us identify the cause of your condition and the best possible solution. Our doctors will conduct a thorough evaluation to diagnose hearing loss and determine the right solution for your needs. Our audiologist will meet with you to perform a physical exam and discuss your family and personal medical history. Being upfront and honest about your symptoms and how long they have persisted will help the doctor provide the best assessment. The audiologist will use an otoscope to first make sure the eardrum and ear canal are free from obstructions, such as earwax buildup or polyps. Pure Tone Hearing Test: You will be taken to a soundproof booth where the doctor will give you headphones and ask you to identify a series of pitches and tones at varying volumes. Each time you hear a sound, you press the button as directed. This allows the audiologist to chart what you can and cannot hear. Speech Test: People with hearing loss often unknowingly read lips to stay aware of what is happening around them. During this test, you will be asked to identify words and sentences through headphones without the assistance of visual cues, such as lip movements or facial expressions. Often, the audiologist will incorporate background noise, much like you would experience in public. Bone Conduction Test: This test measures how well your bone tissue is able to transfer sounds to your inner ear. The doctor will place a small vibrating probe on the outside of your head, just behind your ear. The test is quick and comfortable. After the age of 55, there is a one-in-four chance you will experience some type of hearing loss. By the time you reach 65, there is a 50-percent chance. 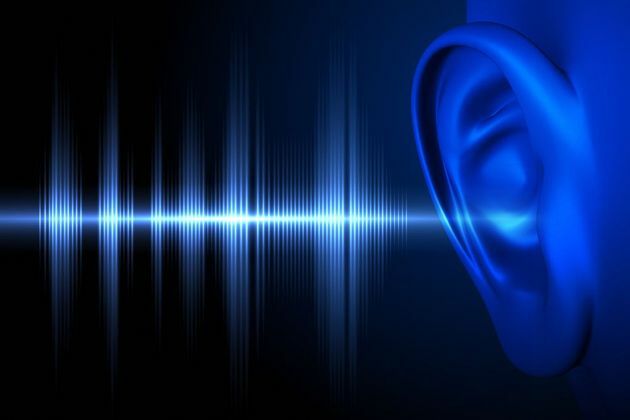 While the Internet has made it easier than ever to gain immediate information at the touch of a button, it is best not to self-diagnose or try and use an online source to test your hearing. Seeing a professional provides more accurate results. Once the series of tests is completed, the audiologist will present you with an audiogram graph that displays how well you hear different pitches in each ear. On the audiogram, you will see how your hearing measures up to normal hearing test results. The horizontal axis of the graph displays the frequency (pitch) of sounds, while the vertical axis represents the intensity (volume) of sounds. For each tone you heard, there is a plot mark on the audiogram at the specific decibel level. The two lines on the chart represent your left and right ear so the doctor can identify the severity of hearing loss in each ear. Our team is able to treat a wide variety of conditions for patients of all ages. We have offered individualized care using the latest tools and technologies for more than 25 years. You can trust your ears to the doctors at Chesapeake Ear Nose & Throat. If you are concerned you may be suffering from hearing loss, come see us. A hearing test is quick and painless, and is an important first step in achieving the best hearing possible. To schedule your appointment, contact our office online or call (410) 356-2626.